Sometimes you want to limit how long a proposal is valid or just automatically take it offline when a certain number of days have passed. The time limits setting is what you're looking for. To enable this setting you'll first head to the security settings page. From there choose Link available for a limited time. 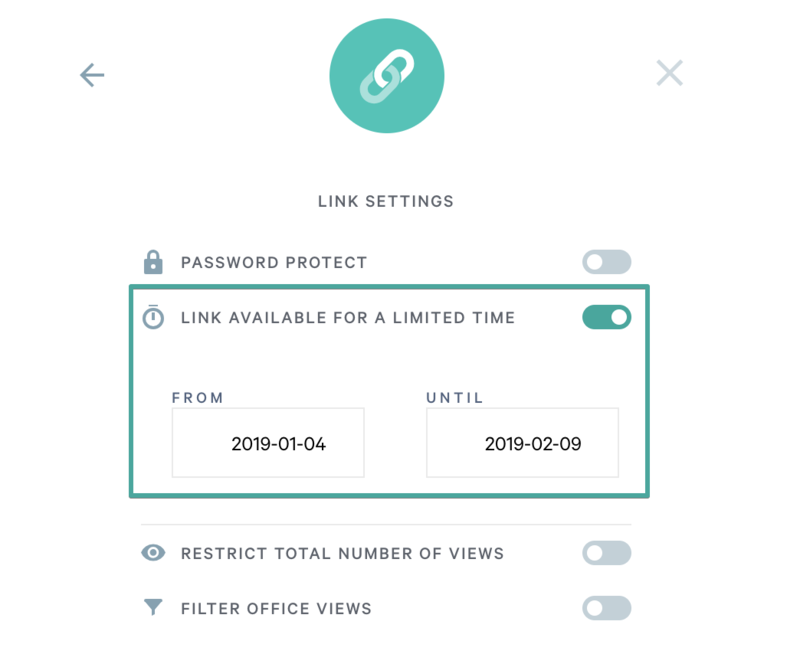 The From date will automatically be filled in with when your Qwilr Page was created, but you can update it to be anything you want. You'll set the Until with when you want page access to expire. If you'd like to immediately disable access, set the time in the past. Once that time has expired your clients will receive an error when viewing the page. You'll also see the page as "Time Limit" in your dashboard and will not be able to view it until the time limit has been removed.